Where to play soccer online? If you are die-hard fan of various European football clubs like Liverpool, Arsenal, Chelsea and Manchester United and pressed hard to remain away from one of your well cherished obsession, because of unavailability of time, then online gaming sites present you with a very attractive option to give some action to your dream of playing football. In virtual world, you can get your all passion for playing pacified. On virtual sites, the game of football can be played in various formats and styles. Here some of the popular soccer sites are mentioned where you can get yourself amidst simulated soccer gaming arena of cyber world. • Soccer News: To play the game of football, one is required to go at the soccer games section of the soccer news website. At the section, many online free soccer games format are provided for the soccer enthusiasts. Apart for games, one cans also use his knowledge and skills at playing Soccer Quiz, World cup 2010, Goal Feast, Gravity Football, Penalty Fever, Beach soccer, Soccer ball, Goalkeeper and many games varieties of the soccer. • Pogo Games: For soccer lovers, this is one of the most favorite game format preferred by the virtual players. 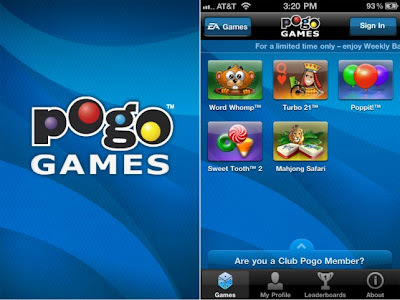 In Pogo games, you can provide lead to country to victory online through EA SPORTS Web Soccer, that is a free online soccer games form EA SPORTS. This game can be played in solo as well as in team format. Some of the awesome features of this game format are goal shots, steals, catches and goalie blocks. In the game, a player can select from about sixteen international teams to play the game. • Box10 Games: This is counted among one of the best free gaming sites for football lovers across the cyber zone. One can find different formats and strategies to play football at this site. It is also can be used as method to de-stress by playing several versions of the football. 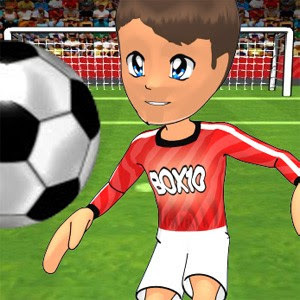 Some of the popular versions of the soccer games available at this site are world Cup Kicks, Side Kicks, Peace Queen Cup, Scooby Doo Kick, Champion Soccer and others. To play the game of soccer in team format, one can try games like Virtual champions, The Champions 2, Free kick Football and World Soccer. • Soccer Games Spot: It is one of the best online soccer game sources that one can find on the internet. It has the biggest collection of soccer and football games. Most of the games at the website are available free for playing. The game can be played in solo and team formats.